The common conclusion with Google's Pixelbook is that you'd have to be crazy to buy it, but that assessment is based on a flawed and myopic premise. The reviews are in for Google's $999 Pixelbook — and the overwhelming results? Well, they aren't exactly surprising. Let me sum up the common conclusion for you, in a nutshell: The Pixelbook is a beautiful, spectacular, and incredibly well-built device. In fact, it's one of the most impressive computers we've ever seen! But, oh: It runs Chrome OS, so you absolutely shouldn't spend a thousand dollars on it. "If it ran anything other than Chrome OS, it would be a top-tier laptop," said Ars Technica. "But it does run Chrome OS, so for $1,000, it's kind of a hard sell." "Chromebooks are great, but they're nowhere near a PC or Mac," CNBC agreed. "If you're spending that kind of money, you can buy a full-fledged Windows or MacOS laptop that allows you to install full versions of applications." What do these sorts of assessments all have in common? Simple: They're lacking the perspective that for a lot of people these days, Chrome OS is actually preferable to a traditional desktop operating system. And for such people — be they students, professionals, or anything in between — spending money on a top-of-the-line system like the Pixelbook is no less valid than it would be in any other domain. As I've written countless times before, the idea that you can't do much of anything on a Chromebook is woefully misguided. No, you can't install local programs like you could on a MacBook or Windows device. But Chrome OS is aimed at the type of user who doesn't need such local programs or anything else from a traditional PC environment — and eliminating those elements allows some attractive benefits to be added in. By their very nature, Chromebooks boot up and get you online almost instantly. And they make a lot of things about traditional computing environments feel outdated: the cumbersome setup and installation procedures; the annoying and time-consuming OS upgrades; the need to manually update applications over time; the need to use antivirus software (and the accompanying likelihood and potential consequences of infection); the reliance on complicated drivers; and the inevitable bogged-down, slowed-down effect that always seems to happen to PCs after you've had 'em for a few months. Plain and simple, more functionality doesn't necessarily equal a better experience in everyone's eyes. For a lot of folks these days, Chrome OS provides an ideal computing environment (yes, even for getting actual work done). And you know what? There's no reason you can't prefer that type of environment and also want high-end hardware that's exceptionally nice to use. It's no more or less reasonable than paying the price for a first-class Windows or Mac machine, if those are the platforms you prefer. In either scenario, a lower-end system can certainly get the job done, but the difference between using it and using a high-end device is akin to the contrast between driving a budget car and cruising around in a luxury sedan. Make no mistake about it: The Pixelbook is without question the new Lamborghini of the Chromebook world. I've been using the system for the past couple weeks, and it is every bit as lovely as you'd expect. The laptop is thin and sleek. It feels expensive. Its touchscreen display is top-notch. The backlit keyboard is a delight to use — noticeably shallower and with less key travel than its spiritual predecessor, the Chromebook Pixel, but still high-end through and through. The Pixelbook feels like a feather compared to the old Chromebook Pixel, incidentally — and it's no wonder: The system is a full pound lighter than Google's previous model. That's because it's just dramatically different in design: The Chromebook Pixel had a sort of industrial-like vibe to it and felt solid and substantial. The Pixelbook is far more compact and contemporary, more like an Ultrabook in philosophy and appearance. And, of course, the Pixelbook is built to swivel. Its screen goes back a full 360 degrees, which means you can use it as a laptop, as a flatted-out (and surprisingly thin-feeling, even in that state) tablet, as a slate with a built-in stand beneath it, or as a "tented" display to rest on a table or your lap. And speaking of touch-oriented activities, don't forget that the presence of Android apps on the Pixelbook goes a long way in filling some of Chrome OS's long-standing gaps — and also opens the door to some interesting new possibilities. 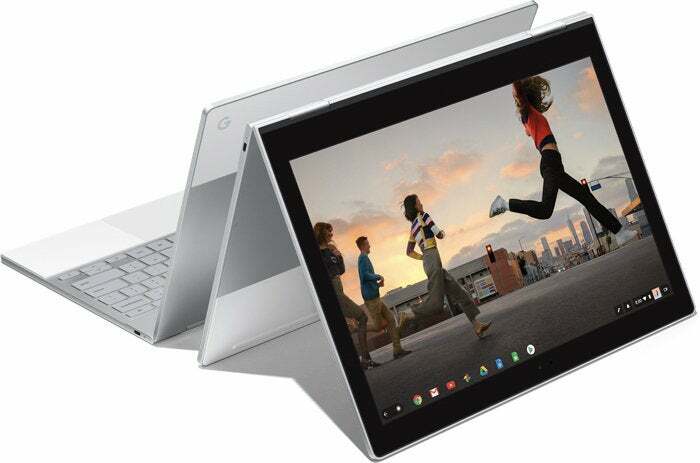 The Chromebook is the new Android tablet, effectively, and the Pixelbook is designed explicitly with that duality in mind. It's a uniquely versatile product that's as much a mobile device as it is a laptop, and its platform-defying nature creates some pretty compelling perks. All that being said, the Pixelbook certainly isn't perfect. Anyone coming from the most recent Chromebook Pixel may be disappointed to learn the Pixelbook lacks the USB 3.0 ports Google's previous laptop offered — just a single USB-C port on either of its two sides (both of which, I should note, allow the system to juice up ridiculously fast with the included charger — a charger that, oh yes, will work equally well with your Pixel phone). Oh, and in case you were wondering, it does have a 3.5mm headphone jack. So, yeah. There's that. All right — so all considered, am I saying everyone should run out and buy the Pixelbook immediately? Of course not. First of all, if you aren't fully sold on the Chrome OS concept, then it's clearly a silly proposition for you in the first place. Only you can decide if Chrome OS makes sense for you, and that answer will then determine whether a device like the Pixelbook is even vaguely worth your consideration. Even if you wholeheartedly adore Chrome OS, though, a thousand buckeroos is a lot of dough to drop on any computing device these days. 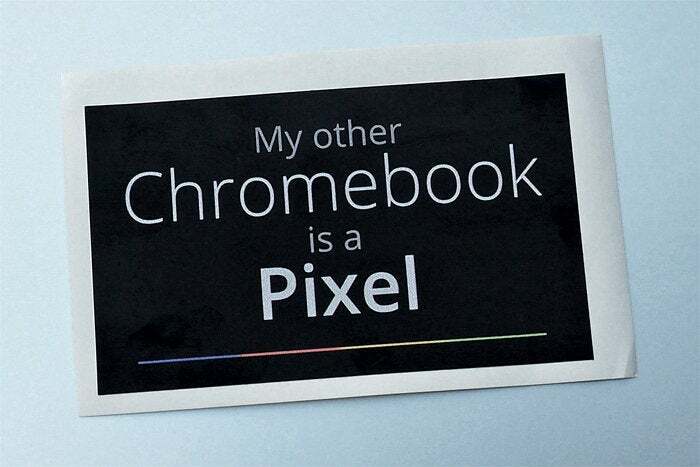 And you can certainly get a perfectly fine — even outstanding — experience with a Chromebook that's half the cost. In fact, I'd go as far as to say most people interested in the Chrome OS-Android app model would be better off buying Asus's Chromebook Flip C302CA, which runs around $500. I spent a fair amount of time using that device recently and came away quite impressed. 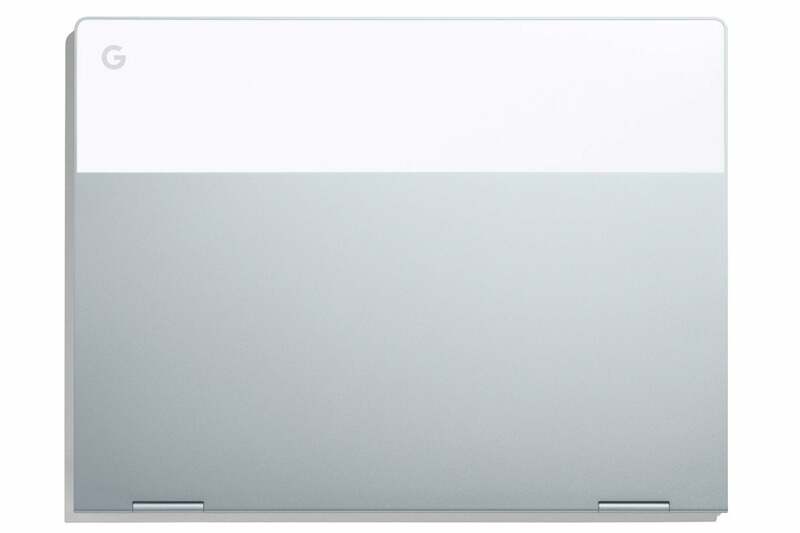 It's a really nice upper-midrange system, and aside from the stylus option — an intriguing if niche-oriented Pixelbook accessory that'll set you back an extra hundred bones — there's not much significant the Pixelbook can do that the Flip can't. More than anything, what the Pixelbook offers over less expensive alternatives is an elevated, luxury-level experience. It's less about the difference in pure function or power and more about the difference in physical niceties — amenities like the quality of the keyboard, the feel of the glass trackpad (and the super-soft silicon pads around it), and the gorgeous design, with no glaring logos staring up at you from beneath the screen. It's about the thin, sleek, and exactingly constructed hardware that looks and feels as upscale as it gets. Like with any luxury item, that level of quality certainly isn't something anyone needs. You can obviously get by fine with a lower-end or midrange system — and as I said, for the average Chrome OS user, that's probably the more sensible path to take. But just like with cars or other types of laptops, a premium experience is something a fair number of people want. Dismissing the Pixelbook simply because it runs Chrome OS is a symptom of not being able to get out of one's own head — of not being able to understand that everyone's needs aren't the same as one's own. Despite what the naysayers may believe, the Chrome OS concept is indeed viable and often even preferable for an ever-increasing number of people. If you're among that crowd and want the best of the best — and can justify spending a grand to get it — the Pixelbook will give you a multipurpose productivity and entertainment machine like no other. You won't be disappointed, no matter what anyone who fails to recognize the validity of your computing preferences may say.